SACRAMENTO, Calif. /California Newswire/ — The Assembly Health Committee last week approved SB 476 authored by Calif. Senator Tony Mendoza (D-Artesia), on a bipartisan vote of 15 to 2. The bill will protect the well-being of California’s children by ensuring that day camps in the state are held to the same high standards as resident camps where children stay overnight. The bill now goes to the Assembly Appropriations Committee. “Every year, thousands of children throughout California attend day camps. It is astonishing that day camps operate with almost no oversight. It is critical that these camps adhere to the same health and safety standards as overnight camps. 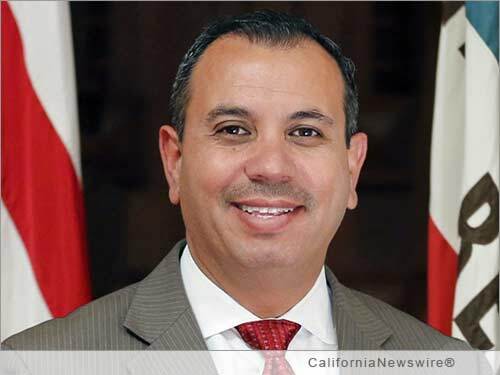 SB 476 protects the well-being of children who attend day camps by requiring that they follow the same regulations as overnight camps,” said Senator Tony Mendoza. “Senator Mendoza’s SB 476 will give parents assurance that day camps they select for their children are following the same rigorous standards that resident camps meet. His measure will make all camps partners with their local health departments to insure that camps are safe and enjoyable for campers, giving them the best outdoor environmental learning opportunities possible,” said Catherine Barankin, Public Policy Director, California Collaboration for Youth. Day camps are programs which typically serve children who are unable to attend resident camp programs that include multiple overnight stays. Many day camps operate on park sites, at beaches, in churches or at Boys and Girls Clubs, YMCAs and other youth organization sites and locations. A day camp must focus on summer learning, recreational activities and outdoor experiences to not be considered a childcare program. Day camp activities may include trips to theme parks, museums, zoos and overnight trips to resident camps. Considerations of cost, age of the child, and parental preference, are among the reasons many parents choose to have their children attend local day camps rather than resident camps. Current law and regulations only cover the health and safety requirements for resident camps. As a result, there has been confusion related to who has jurisdiction over the operation of day camps and what health and safety requirements they must follow. Define “day camps” in statute by adding them to the organized camp section of the Health and Safety Code (Section 18897) which currently provides requirements for operating resident camps. Provide a definition of day camps and specifies requirements for registering and operating a day camp, including providing their local health department with a notice to operate. Clarify policies related to field trips and staffing, and require approval of operational plans unless a camp is accredited by the American Camp Association (ACA). Require carbon monoxide detectors in camp buildings intended for human occupancy that have a fossil fuel burning heater, appliance, fireplace or an attached garage. Require that bows and arrows be added to the list of sports equipment that must be stored in a locked cabinet when they are not in use for authorized camp activities. “Day camps provide children great opportunities to meet others their own age, make new friends, grow, learn, and thrive. However, we need to ensure that day camps operate safely and do not place children in harm’s way,” added Mendoza.